Are spill kits really that important? And what do spill kits actually contain? You may have heard that spill kits are necessary but not understood why — or what makes a good spill kit. Not to worry. We’re here today with three things you absolutely have to know about spill kits. If you work with hazardous materials or waste, everyday accidental spills can quickly go from inconvenient to dangerous. You need to be ready to clean up these spills no matter when, where, or how they happen at your business. That’s where spill kits come in. 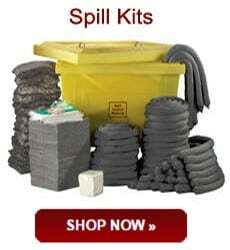 Not just any spill kits will protect your equipment and employees. Your spill kits need some specific features to be effective, and those features need to be specific to your kinds of possible spills. The first thing you need to know is what kind of spill kits are right for you. General Purpose — General-purpose spill kits are important to have around for water-based liquids and hydrocarbons. These kits use gray absorbents. Oil Only — Oil spill kits are specifically designed for the cleanup of hydrocarbons like gasoline and oil. They contain white absorbents that float on water to make cleanup more efficient and effective. Hazmat — If you work with highly corrosive acids and solvents, hazardous material kits are for you. These absorbents are yellow and will easily absorb your hazardous liquids. No matter what kinds of kits you have, there are certain things they definitely need to contain. The second thing you need to know about spill kits is what they should have in them. a clearly marked container to store your unused spill kit contents. Of course, it isn’t good enough to just have spill kits. 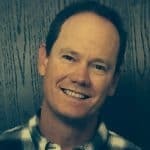 The third thing you need to know about spill kits is that they won’t be helpful if your employees don’t know how to use them. know when not to handle spills — sometimes the best response is evacuation. If you’ve considered these three aspects of your spill kit program, you have a solid base for a spill-response plan! And whether you’re new to spill kits or a seasoned expert, AbsorbentsOnline is here to help ensure you have the right products to protect your employees and your facility.